Every human on earth originated with the San people from Niger, just north of South Africa. We are all children of Africa, and descendants of the San. They are collective mother, father, grandparent and cousin to us all. To us all. There are thousands of creation stories. 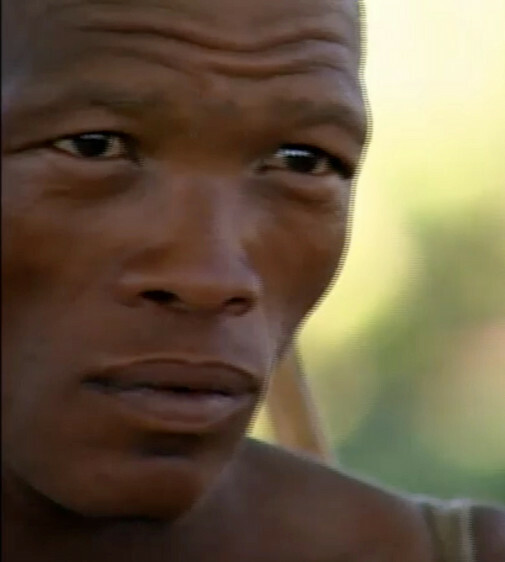 I like this one because when I look in the eyes of the San people (photographed as part of the National Geographic Project), I am intensely proud of being related to them. Their eyes seem to hold an undiluted wisdom that held to the home we all left 50,000 years ago. And it turns out I’ve been playing a musical instrument from this very area for the last 35 years, and I believe the Kalimba/Mbira music that I listen to and play today is a bridge to these ancient beginnings. Please note this doesn’t mean I’m right, or even have the confidence that science as we know it in 2013 will carry the day for the next 50,000 years. Genetics is to me, however, a kind of written record. Quoted from the National Geographic's "The Journey of Man" narrated by Spencer Wells of the Genomics Project.